Spring break represents a 10-day stretch of out-of-school time for 80,000 Baltimore City Public Schools students. 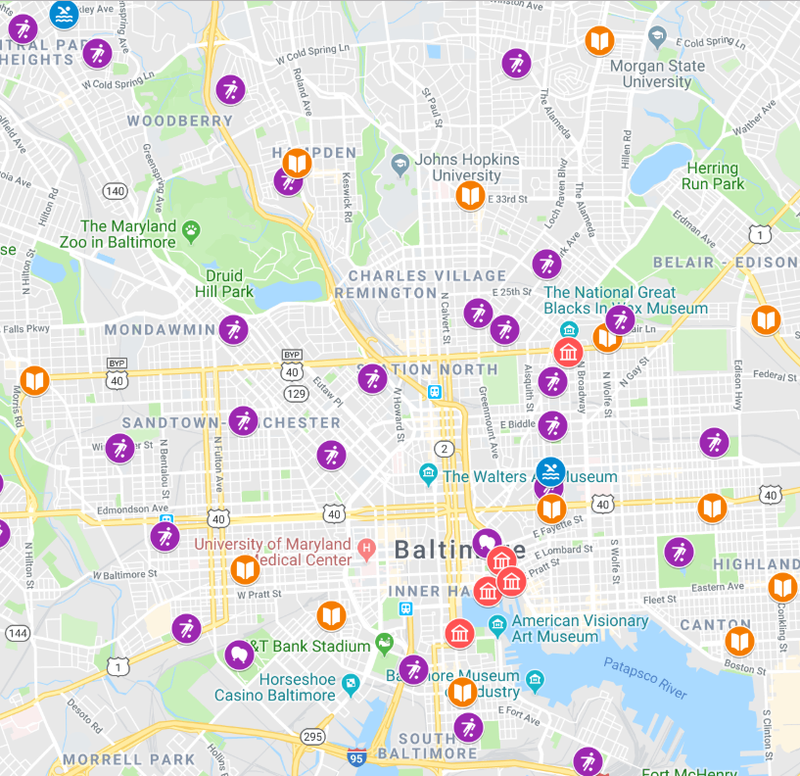 Baltimore is rich in recreational, educational and cultural resources. 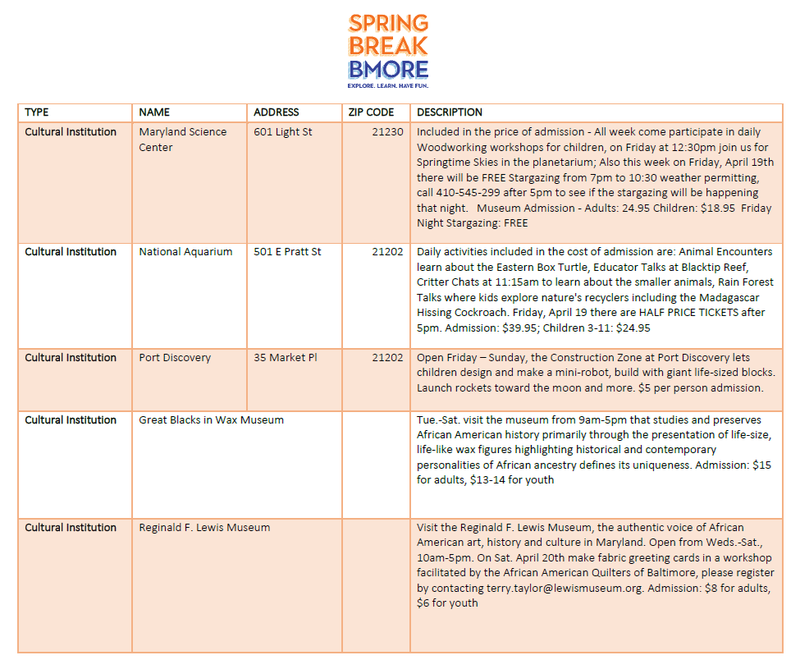 Combine the two and you get SpringBreakBmore, Baltimore’s first annual coordinated effort to leverage the spring break window and the city’s government and nonprofit resources to help kids stay active and engaged—in learning and with each other—during this extended break from school. pop-up sports camps | & more! 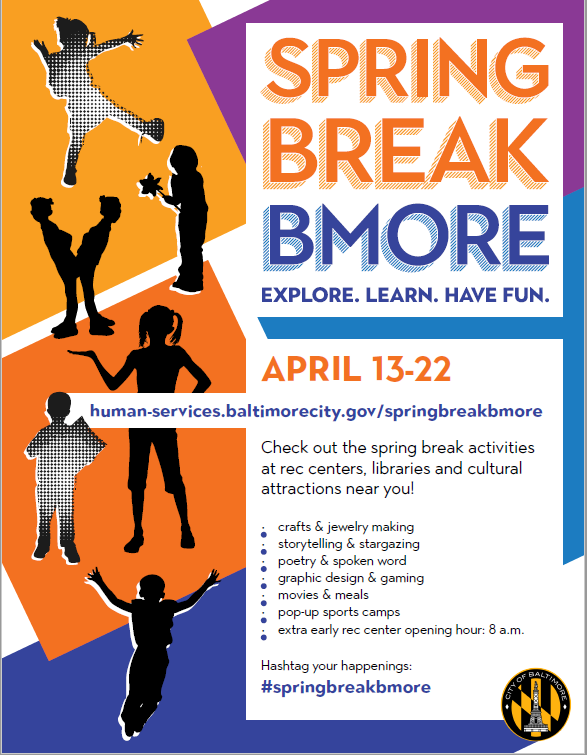 Want your program to be part of SpringBreakBmore? Sign up here to be added to the map. Download logos to use in your SpringBreakBmore communications here. Email Holly Gonzales, [email protected], with questions.